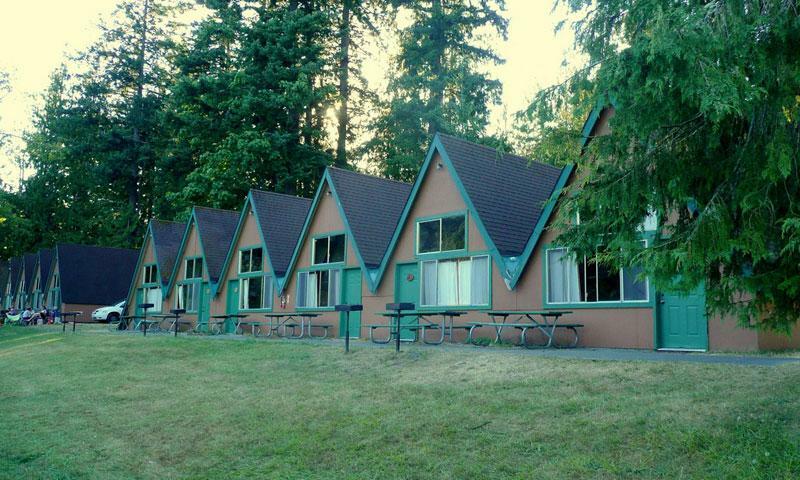 If you don’t want to sleep in a tent, but you don’t mind roughing it in facilities with very few amenities, then the Lake Crescent Log Cabin Resort is for you. Located on the north shore of sparkling Lake Crescent, this property features log cabins, chalets, and RV sites. Book Online. The lake views and water access are great from the Log Cabin Resort. This site feels very secluded amongst the old growth mossy trees. Wake up early to view the native deer and elk who often venture right up to the cabins. Where is Log Cabin Resort, Washington located? Log Cabin Resort is located on the north shore of Lake Crescent. The resort is approximately 15 miles from downtown Port Angeles, just of Olympic Highway, WA-101 on Beach Road. Tell me more about Log Cabin Resort, Lake Crescent. Amenities: Features a variety of different sleeping arrangements including A-Frame Chalet, Log Cabins, and RV sites, Log Cabin Lodge Restaurant, General Store, pets are allowed for an extra fee, lake views and easy access.